The municipality of Keles (13,876 inhabitants in 2012, 3,570 in the town of Keles; 65,725 ha) is located 60 km south-east of Bursa. 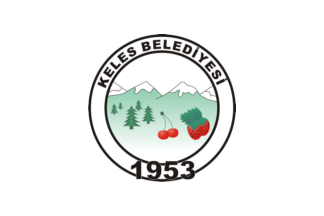 The flag of Keles (photo) is white with the municipality's emblem in the center. "Belediyesi" means " Municipality".